Sitter: Consuelo, Duchess of Marlborough, later Mrs. Jacques Balsan, n�e Vanderbilt (d.1964). 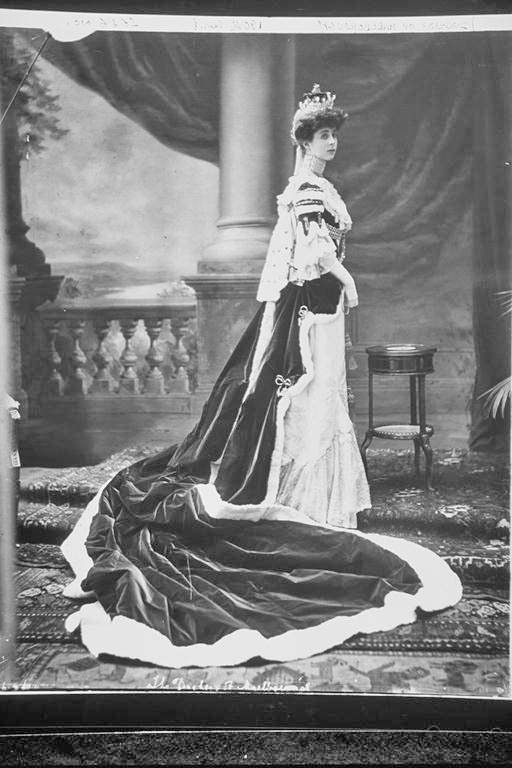 Biog: Daughter of William Kissam Vanderbilt, of New York, railway magnate; m. 1stly (1895) Charles Richard John Spencer-Churchill, 9th Duke of Marlborough; div. (1921); m. 2ndly (1921) Lt.-Col. Jacques Balsan. Biog: Burkes' Peerage; Consuelo Vanderbilt Balsan, The Glitter and the Gold, Maidstone, 1973. Reproduced: The Sketch, 13 July 1904, p 454.